In case you've been disappointed by the SIXAXIS or Dual Shock 3, Datel has just released the Wildfire. 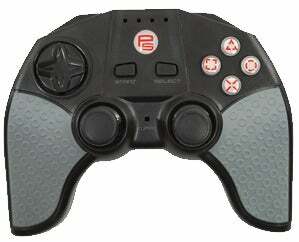 Yeah, it's a generic controller, but it's wielding all the standard PS3 functions and then some. On top of tilt sensitivity, vibration and Bluetooth (we believe the Wildfire is the first dongle-less third party PS3 controller), the Wildfire features variable turbo and a design that looks like it could cut you. The only downfall on the spec sheet is its requirement of 2 AA batteries...which is probably a dealbreaker unto itself.